Machguard specialises in both the manufacture and refurbishment of all types of Machine steel telescopic guards. We focus on providing first class products and services at competitive prices with a fast turnaround time. We give utmost consideration to the quality and price ratios, ensuring that our customers get a first class service. • From our own internal design library. • Reverse engineer from existing damaged samples. • Dented or damaged sections repaired or replaced. • Worn shoes, bearings and guides replaced and re-lubricated. • Covers re-polished and oiled. • Covers re-built on our test jig and checked for effective operation prior to despatch. Machguard is always looking to improve upon the original design, where possible to extend the life of the guards. Modifications such as steel thickness, fitting of re-enforced cross members for load bearing and better quality brass interlocks, bearing strips, wipers and shrouds are a few of the modifications that can be achieved to increase performance and life of the guards. 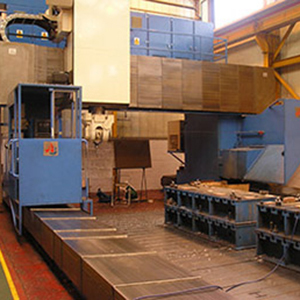 Heavy investment in plant and machinery as well as personnel training under the guidance of highly qualified engineers has enabled us to face the challenges of high accuracy and high speed production machines operating for longer periods of time. To complement our refurbishment activities we also manufacture new replacement telescopic guards from CAD Design to manufacture and fitting (if required) to meet all types of Machine guard applications.